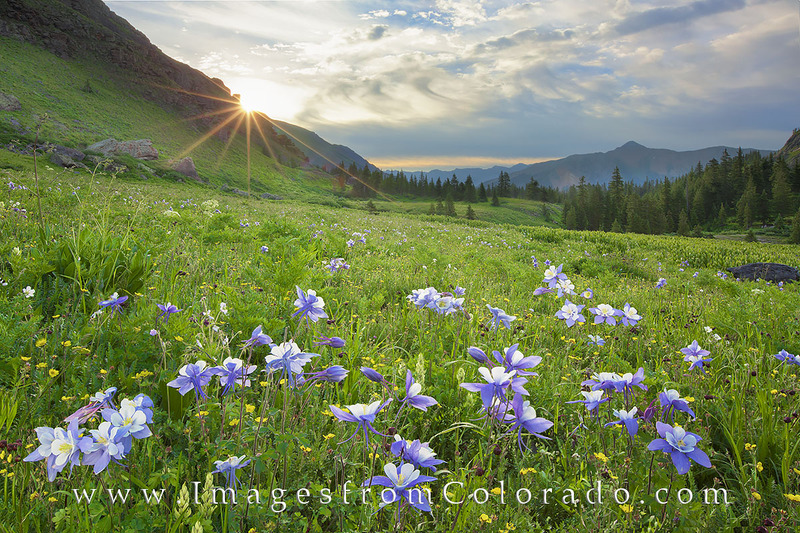 As you ascend the Ice Lakes Trail near Silverton, Colorado, in the summer, you’ll likely pass areas of dense columbine, Colorado’s state wildflower. With the sun peeking over the rocky San Juan mountains, I had to stop and capture this fleeting moment. Photo © copyright by Rob Greebon.